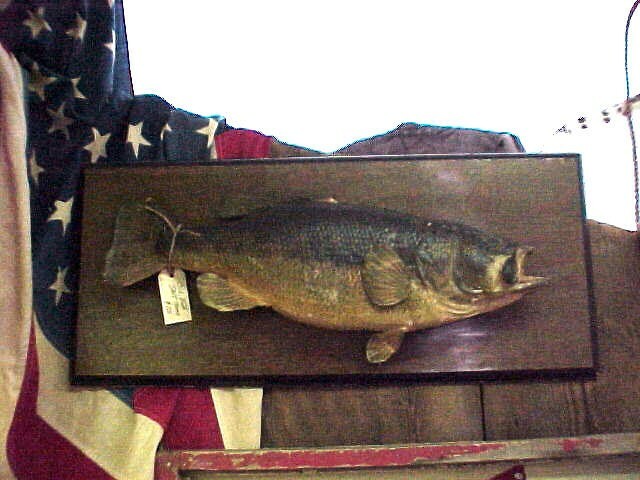 Old Big Fat Fish/Bass Trophy on Plaque. Finns missing. But beautiful old taxidermy. Great for cabin decor. Old Big Fat Fish/Bass Trophy on Plaque. Finns missing. But beautiful old taxidermy. Great for cabin decor. Please email cowboycabin@centurytel.net with questions or call 406 270-2842.